I'll admit it: I really knew The Cockney Rejects more as a name than as an actual band before watching the movie. 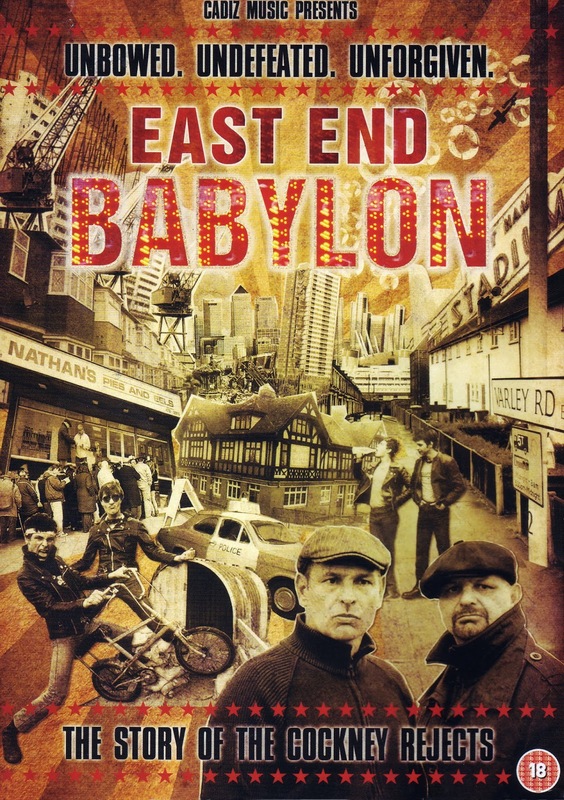 East End Babylon: The Story of the Cockney Rejects works perfectly as a primer for people just discovering the band as it does for die hard fans looking to hear the whole story. It starts off focusing on West Ham, the area of London the band is from, and the economic hardships it was facing around the time the band formed. The Rejects got started off in one of the most classically punk ways possible: They claimed they were a band even though they had never played and didn't have a drummer, but somehow ended up with studio time to record. The band's rise to popularity coinciding perfectly with West Ham United winning the FA Championship in 1980, right when they recorded a punk version of West Ham's fight song, "I'm Forever Blowing Bubbles." Think Dropkick Murphys recording "Tessie" in 2004, but the one difference is The Dropkick could play in New York and St. Louis after that. With the violence involved with soccer hooliganism at the time, playing outside of London became virtually impossible. That and a BBC report that falsely tied them to the neo-Nazi British Movement virtually ended the Rejects, until modern day punk bands like Rancid and The Dropkick Murphys started citing them as influences. 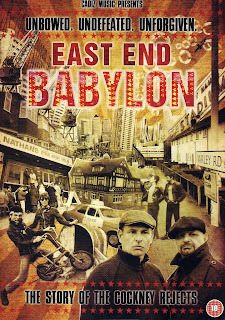 East End Babylon: The Story of the Cockney Rejects features interviews with the band and people associated with the band, as well as archival clips and animation. My only complaint is it could really use a closed captioning feature, since the Cockney accent is really strong. For more information, head over to the film's website. You can also order a DVD copy from Amazon.